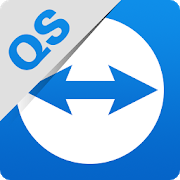 TeamViewer is one of the easiest ways to remotely control another computer, but it can also control select Android devices. Not all phones are compatible, as OEMs have to include the company's API, but several major manufacturers have done so. You can download QuickSupport from the widget below.